Another week is underway, and as always we have the European Nintendo Download update to get us up and running. This week brings some high profile DLC and a promising download release on Wii U, while the 3DS has one of its biggest retail releases of the year alongside a couple of download games and even more DLC. There's the usual batch of discounts across both systems too, so let's get to it. PixelJunk Monsters HD (Double Eleven, €8.99 / £6.99) - Originally developed by Q-Games around nine years ago, this title (and the broader PixelJunk series) has been ever-present on PSN (PlayStation Network). Arriving on Wii U is this tower defence entry in which you protect your offspring across 47 different environments. We'll let you know what we think in a review. Minecraft: Wii U Edition - The Super Mario Mash-Up Pack (Microsoft, free) - The pack will feature a whole lot of skins, world and item textures, along with music from Super Mario 64; full details are right here. Available from 18th May. 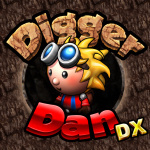 Digger Dan DX (€0.99 / £0.89 introductory price, then €1.99/ £1.79) - An improved version of Digger Dan & Kaboom, as the name suggests you need to manoeuvre through a range of mines and environments while collecting treasure. 100 levels are promised, so we'll dig into it and let you know what we think. KAMI (CIRCLE Entertainment, €2.99 / £2.39) - Previously released in early April, it's being included in the update once again. A clever and visually appealing paper-based puzzle title in which you create folds for a relaxing experience. A hand-crafted Japanese paper theme and 63 puzzles come together well in this one, as we gave it a solid recommendation in our KAMI review. Fire Emblem Fates Birthright / Conquest (Nintendo, €44.99/ £39.99 for one version, download the second for €19.99/ £17.99) - Following the vital success of Fire Emblem: Awakening, Intelligent Systems returns with this dual release (along with a third download-only part that's on the way soon), and in addition to a sizeable adventure there are changes to some key mechanics, along with improved and more immersive visuals. It's an excellent release and full of detail - learn all about its intricacies in our Fire Emblem Fates review. Available from 20th May. 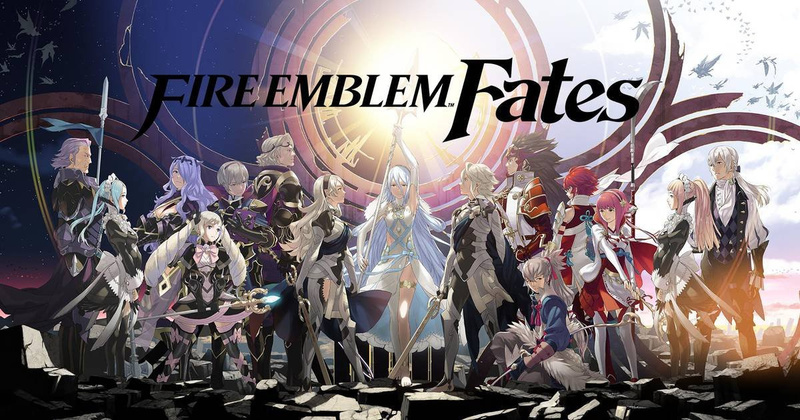 Fire Emblem Fates – Map Pack 1 (Nintendo, €17.99/ £16.19) - Includes 11 paid maps in total. Fire Emblem Fates: Before Awakening (Nintendo, free) - Beyond the gate to another world lies the Halidom of Ylisse in this debut free DLC. Hyrule Warriors Legends: Master Wind Waker Pack (Nintendo, €1.99/ £1.79 or free with season pass) - Includes 16 My Fairy costumes and the 'Master' Wind Waker Map for Adventure Mode. It's pretty quiet on the Wii U front. Direct incoming haha.Or maybe it's an indication of how things are going to be for the rest of the year? Fingers-crossed my buddy at Game managed to put me aside a Special Edition. I still can't believe the absolute farce that both Nintendo and Game made of the distribution. I cannot praise Pixeljunk Monsters enough. Played it on PS3 and it is an amazing tower defense game. Perfect in both one and two player mode. Is there no demo for Fates? Meh. Nothing new for me till summer anyway. I'm undecided if I should still keep my Fates Special edition preorder since I've decided to download. It's not a huge deal but I'm glad they're making the FE theme available outside of pre-orders/eShop purchases. It's annoying that themes like the Famicom and Hyrule Warriors Legends ones are tied to the games/eShop purchases. And as for Wii U. Probably will be the case every week until the NX arrives bar the very odd quality title here and there like Axiom Verge, Rive and Yooka-Laylee. Good to get a confirmation on the Minecreaft update for EU as well. Absolutely interested in PixelJunk HD. Hopefully it has good Gamepad support. Radiant dawn Eshop release would have been a fan treat this week! Digger Dan DX for me. The DSiWare game was fantastic, so at that price an updated version is a steal. Either way I can't wait to get into this game, I'm gonna spend a lot of time playing it, that's for sure. Getting the physical version of Fates. I have the HWL Season Pass so i'll get the DLC. Minecraft DLC too. Maybe FE DLC. Basicaly alot of DLC this week. was gonna get physical version of fire emblem but the £18 for the 2nd game is nice. Somehow thought FE came out next week. Anyway, both versions for me. Faaaaaaaates !! Come to me darling ! I've been waiting long enough ! Nothing for me, even though it's a decent week. I'm not keen on Minecraft or Fire Emblem, and I haven't yet bought Hyrule Warriors. Ehhh it's FE time already?! But I haven't finished with Bravely Second yet! Better get to it. At last, Fire Emblem Fates!!! Goodbye Wii u looks like to windown is in full swing! Going to try hunt down the limited edition of Fire Emblem on the day, hoping for failed payment or non collection. I'm so excited about Fire Emblem at the moment! Not alot this week WindWaker DLC and I'll get FE physical copy. Digger dan and some fire emblem action for me ta. Would get fire emblem but I don't want to contribute to the full game being split in two. @xVAKAR1ANx the only day one DLC is free and the game being split in two is fine, they're big enough and full for their own games and you can get the other discounted... When Pokémon does it for a few different Pokémon it's fine but FE does it for two whole games and oh boy let's riot. I don't get why you wouldn't get it because of this, but it's your choice in the end. It's a busy week, what with Fates being an expensive experience for us (2 versions, a 2 in 1 version that's hard to get and not exactly cheap, it's DLC, and don't forget it got a special edition New 3DS XL to go with it. Nintendo wants you to buy Fates this week, not take your money elsewhere. Not easy to justify a Fire Emblem download at £40 when you can get a physical copy for £30. 25% saving. Master Wind Waker pack for sure as I bought the season pass at launch. FE Fates and its DLC is likely (via special edition) but after the cancellations that happened recently, I'm not so sure mine will survive. FE Fates Birthright for me. Hopefully cruise through this in a couple of weeks and then onto the challenge that is Conquest. @kobashi100 This discount is also available to the physical copy. @Jolt pokemon games have little difference between the games as you stated. It's like on disk dlc ..... When Nintendo do it it's fine but when it's Capcom oh boy let's riot. I'm curious about Digger Dan and PixelJunk Monsters. The former I might just as well get for the price it has. Sorry you mean if you own the physical copy you can still download 2nd copy at a discount right? Just the Hyrule Warriors Legends stuff for me. Quiet times. So have Nintendo basically killed off Virtual Console? How about more N64 games at least? Got the Fire Emblem Fates limited Edition pre ordered from Nintendo store so that will keep me going for a while. So no downloads for me this week. Definitely picking up Digger Dan! 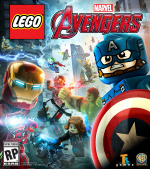 @xVAKAR1ANx yes but they're whole games worth the price, especially if you get the other for cheaper. As I said it's your choice but I feel you're really gonna miss out on a great game here. Digger Dan, at that price, definitely looks worth a buy, and I'll likely pick up a few of the discounted CIRCLE games, since one of them looks like a fairly good visual novel, playing through the Phoenix Wright trilogy again has left a massive VN/adventure game-shaped hole in my life. Yay, Fates is finally here! I've only been waiting around 20 months since the annoucnment trailer. I just pre-ordered Conquest, and will probably download the other paths as soon as I have the money. Also, I'm glad to see that the download bonus theme is available to buy separetly, as I hardly ever get a download if there's a physical release, but I don't like missing out on those themes. Special Edition Fates for me and probably a whole lot of dlc too, though I have season passes. I'm set for a long while now so the NX wait isn't so bad. Rumours are killing me, though. @OorWullie Yeah it seems like following Star Fox the Wii U is dead. The only thing we have to look forward to now is it's swan song, Zelda U (aside from Tokyo Mirage Sessions #FE, of course). Nothing this week.I only care about free Medli in Hyrule Warriors HD and Fast Racing Neo's Vertigo update. PixelJunk Monsters is one of my all-time favorite PS3 downloads and honestly one of my favorite games on the system period. Please, pretty please someone confirm for me it's coming to the NA shop!!!! Pretty much every game in the PixelJunk series has been amazing. I hope this sells well enough that more make their way. PixelJunk Eden and Shooter would be awesome! Hopefully getting the Fire Emblem Fates Special Edition, if my pre-order isn't cancelled. Thanks for nothing yet again, Nintendo. I should be getting my FE Fates Special Edition on Friday. Fingers crossed. I won't be able to play it right away though because of the last few weeks of college.